When a ballplayer leads the league in multiple offensive categories for only one season, it may be said that he had a “career year.” This term may take on even more significance if the player never comes close to duplicating the statistics he put up in his magical season. One might suggest that Ken Williams of the St. Louis Browns enjoyed such a year in 1922. The Browns had an explosive team that season, and Williams was their power hitter and an RBI machine. He led the American League in home runs (39) and RBIs (155). The St. Louis left fielder was the first player in the major leagues to hit more than 30 home runs and steal 30 bases (37). He also became the first player to hit more home runs in a season (37) than he had strikeouts (31). Williams hit a homer in six consecutive games from July 28 through August 2. On August 7 he became the first American Leaguer to hit two home runs in one inning. On a team that was known for annually finishing in the basement of the American League, the 1922 St. Louis Browns fielded an offensive juggernaut. Williams was a big part of it and helped keep the Browns in the pennant race all season. He became the first batter in the American League to hit three home runs in one game. He achieved that feat against the Chicago White Sox on April 22, 1922, at Sportsman’s Park. The onslaught propelled Williams to slug seven homers in nine games between April 22 and 29. This power surge prompted L.C. Davis of the St. Louis Post-Dispatch wrote the following poem paying tribute to the slugger. Who is the rooter’s joy and pride? Who gives the pesky pill a ride? Who is the guy so calm and cool? Who swings his trusty batting tool? Kenneth Roy Williams was born on June 28, 1890, in Grants Pass, Oregon, to Britton and Carrie Williams. Britton worked as a real-estate agent. Williams did not attend school after the eighth grade, but worked in a box factory. He found time to play semipro ball around the state, showing enough promise that he signed a contract with Regina of the Western Canada League. Although he was a natural right-hander, Williams batted from the left side of the batter’s box. He showed his versatility, playing every position on the diamond, except catcher. A lean, gangly fellow at 6 feet tall, Williams looked out of place on a baseball field. McCreedie was not the only one to take notice of the youngster’s batting prowess. After hitting .340 through the first 79 games for Spokane of the Northwest League in 1915, he was picked up by the Cincinnati Reds. It was noted of Williams that he “is showing lots of speed for a big fellow … and is some hitter.”3 He also demonstrated a fine ability to lay down a bunt. He started 60 games in the outfield for the Reds, mostly in left field. He hit .242 for the year. But Williams’s bright outlook was curtailed when his hitting went south and Reds manager Charley Herzog took issue with his fielding ability. The Reds also needed to get down to the 21-player limit by May 1, which made Williams expendable. Cincinnati had an optional agreement with Spokane, so he was returned to the minor-league club. Ken returned to Spokane, but he was then purchased by Portland of the Pacific Coast League. He split the 1916 season between Spokane and Portland. He was with Portland again the following year, hitting a robust .313, which led the team, and he smacked an astounding 24 round-trippers. Against Vernon on June 3, Williams hit three homers, and also added a double to his day’s work at the plate. The Browns’ business manager (general manager in today’s parlance), Bob Quinn, was a shrewd judge of talent. He signed Williams for the 1918 season, but like many players, Williams was called to active duty for the World War, and he missed much of the season. Williams married the former Edith Wilerons in 1919. They had two sons, Kenneth Jr, and Jack. By the time Williams found his way into the everyday lineup for the 1920 season, quite a team was being but together in the Gateway City. Starting with George Sisler at first base, the team was loaded with offensive firepower. Williams’s outfield mates, Baby Doll Jacobson in center field and Jack Tobin in right, were superior batsmen. Hank Severeid was a gifted receiver behind the plate. Urban Shocker led the mound corps. The Browns finished a distant 21½ games behind pennant winner Cleveland in 1920. Yet their record of 76-77-1 placed them fourth in the standings. It was the first time the Browns found themselves in the first division since 1908. Williams batted .307 with 10 home runs and 72 RBIs. Lee Fohl took the reins of the Browns in 1921, replacing Jimmy Burke. He had managed the Indians a decade before with limited success. Fohl was considered a good manager who knew baseball but might have been a little slow on the trigger. He had almost no rapport with the players. He led the Browns to a third-place finish, and the team appeared to be on the verge of competing for the pennant the following year. Fohl and Quinn both thought that some tinkering might be needed, but nothing major in the way of personnel changes. After the 1921 World Series, won by the New York Giants over the Yankees, Bob Meusel and Babe Ruth took part in a barnstorming tour. This was a common practice among players of the day to earn some extra money during the offseason. However, the National Commission, which was then the governing body of baseball, forbade members of the teams that played in the World Series to barnstorm. Commissioner Kenesaw M. Landis fined Meusel and Ruth $3,362 apiece, which equaled the players’ shares from the World Series. In addition, each player was suspended for the first six weeks of the 1922 season. Only July 23 the Yankees acquired third baseman Joe Dugan from the Boston Red Sox. Much to the dismay of owners and managers around the league, the addition of Dugan was a boon for the Yankees. After the trade, they faced off against the Browns in a four-game series. After Urban Shocker won the first game 8-0 on a six-hitter, the Yankees won the next three to leave St. Louis with a half-game lead. Dugan collected five hits and walked twice, and the value of his addition to the Yankees lineup was immediately evident. The Browns, although compiling a 93-61 record on the year, finished in second place to the Yankees by 1½ games. They dominated all their opponents except the Yankees; they were 8-14 against New York. Although the Browns won the American League pennant in 1944, it was during the war years and many of the first-line players around baseball were serving in World War II. The 1922 edition was generally thought of as the greatest Browns team of all time. Sisler hit an astounding .420, leading the league in triples (18), hits (246), and runs (134). Shocker led the league with 149 strikeouts. Williams’s power came in spurts during the season. He hit a homer in six consecutive games between July 28 and August 2, and also smacked five homers between September 4 and September 9. The heart and soul of the Browns, George Sisler, was sidelined for the entire 1923 season. He was diagnosed with sinusitis. His optic nerves became infected, and at times he would see double. Williams summed up his own thoughts, as well of those of all Browns fans, by saying, “If Sisler can’t play, we’re ruined. We can fill any other gaps that exist, but there/s no other Sisler.”6 Although Williams’s power numbers dipped a bit in 1923, he still managed to knock out 29 homers and drive in 91 runs. He set career highs in batting average (.357), doubles (37), and hits (198). Despite Williams’s best efforts to pick up the slack, the Browns finished in the middle of the pack in the league. Ken Williams suffered a season-ending injury on August 14, 1925. The slugger stepped in against Cleveland pitcher By Speece in the eighth inning. Speece had thrown three wide ones to Williams, but the fourth offering from the right-hander smashed into Williams’s head, just behind his right ear. He was knocked unconscious, but quickly regained his senses. Williams decided to take a shower and make his way back to the team hotel. At that instant, Indians second baseman Chick Fewster wandered into the clubhouse to check on Williams. Fewster had suffered the same type of injury, and almost lost his life. He warned Williams to bypass the shower. Ken heeded the advice. X-rays revealed a concussion. Williams read later in the year about a player in the minor leagues who suffered a similar injury, took a cold shower, and died, possibly of shock. Williams spent ten days in the hospital before returning to Oregon to recuperate. The Browns finished in third place in 1925. Browns fans were left to wonder what might have been if Williams had stayed healthy for the whole season. Bob Quinn and some partners purchased the Boston Red Sox for $125,000 in 1923. The Red Sox were wallowing in the depths of the American League, finishing in either seventh or eighth place every season since 1922. 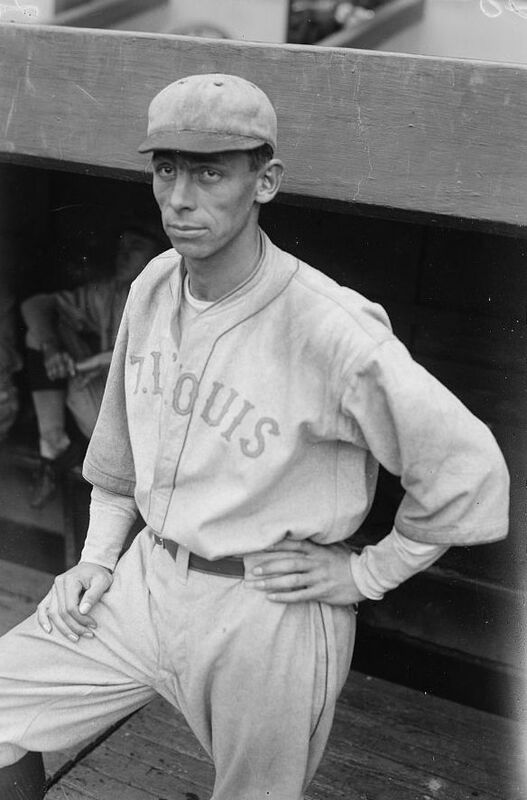 Figuring that he would need an infusion of leadership, and some talent, Quinn dealt for both Williams and Browns shortstop Wally Gerber before the 1928 season. “These two timers seem to play the game for the pure joy of it,” wrote one scribe. “They show more spirit than the players half their age. I imagine some day we will have to carry them off the field.”7 The statement was indeed prophetic. On August 8, 1929, Gerber, playing second base, went back on a ball as Williams came charging in for it from center field. Neither heard the other calling for the catch. They collided, each cracking their skulls. Both players were carried from the field, effectively ending their major-league careers. Williams compiled a .319 batting average for his career, stroked 196 home runs, and drove in 916 runs. He also smacked 285 doubles over his 14-year career. Though his major-league career was over, Williams returned to the Pacific Coast League in 1930, with the Portland Beavers, batting .350 with 14 home runs in 148 games. He appeared in only 20 games the following season before retiring from baseball for good. He retired to his hometown, Grants Pass, Oregon. Williams worked as a policeman and owned the Owl Billiard Parlor in Grants Pass. He died on January 22, 1959, as the result of a heart condition that he had suffered from for many years. 1 Roger A. Godin, The 1922 St. Louis Browns: Best of the American League’s Worst (Jefferson, North Carolina: McFarland, 1991), 50. 2 The Sporting News, March 1, 1923, 6. 3 Sporting Life, 1915, Volume 65, Number 21, Page 9. 4 Baseball Magazine, July 1922, 359-360. 5 Baseball Magazine, July 1922, 359-360. 6 Rick Huhn, The Sizzler (Columbia, Missouri: University of Missouri Press, 2004), 156. 7 Joe Santry, “Wally Gerber — Columbus Hometown Hero,” Anchors Aweigh, May 1988, 14.